The Commission on Higher Education gave the University a cause for celebration as it awards the then Tarlac College of Agriculture a recognition as a Center of Development (COD) effective January 1, 2016 to December 31, 2018. As a Center of Development, TAU is recognized as a unit that has the potential to be a Center of Excellence in the future, with its rating in the evaluation an evidence that it has the capability to become one. Also, it must take note of the following responsibilities: (1) act as role model/leader in the community in terms of delivering AE programs; (2) sustain and enhance research capabilities and upgrade professional and research graduate programs in the field; (3) provide assistance to agencies /institutions within its geographical area of coverage; (4) develop quality instructional programs through faculty development activities and upgrading facilities and library holdings; (5) undertake basic and applied research activities on emerging trends and advancements in the field; (6) undertake extension and linkage projects through regional or national consortia agreements, internationalization activities and industry-academe collaboration; (7) undertake activities / projects necessary in developing quality education in AE in line with the thrusts of the government; (8) accelerate the development of AE through strategic developmental programs and projects; and (9) establish linkages with Centers of Excellence in the same discipline to further improve its capability to undertake research in the field. Indeed, the CAF has proven that it has achieved a lot and is yet to work harder to become a Center of Excellence, something that it is very capable of. Backed by a strong faculty profile, a tradition of research and extension embedded in instruction and supported by the administration, the vision of becoming a COE will soon become a reality. The College of Education is now a recognized Center of Excellence of the Commission on Higher Education (CHED) after passing the rigorous scrutiny of education stalwarts as the unit was visited on November 4, 2016. The unit presented its achievements and efforts following the requirements set forth by the Commission in recognizing Centers of Development / Excellence in Teacher Education. The assessors validated these as they looked into the curriculum development and implementation of Bachelor of Secondary Education and Bachelor of Elementary Education programs, instructional quality, the faculty’s research and publication outputs, institutional qualification as well as the extension services and linkages of the unit. The award was received by the then Dean, Dr. Arnold Velasco with the University President, Dr. Max P. Guillermo. Effective April, 2016 to December 31, 2018, the award recognizes that the unit continuously demonstrates excellent performance in instruction, research, publication, extension and linkages and institutional qualifications. The distinction is valid for three years. 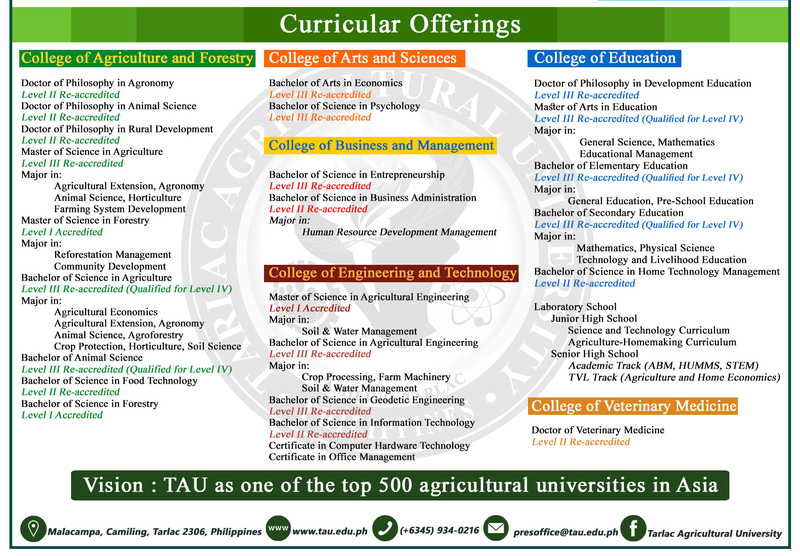 Contributory to this success is the collaborative efforts of the faculty to provide proofs that the program is consistent in providing quality education, highlighted by the numerous board top ten placers in the Licensure Examination for Teachers in the previous years, as well as the faculty’s achievements in the field of research and extension. The studies conducted to assess the performance of graduates in the service was also presented, as well as the impact of extension work conducted by the unit. Mechanisms for ensuring quality instruction as well as the unit’s compliance to CHED requirements were also provided to show that the unit adheres to the Commission’s standards.